Fancy heading off somewhere a little different on your travels? Sick of the usual drab hotels or mundane apartments? Well, there are plenty of places around the world that will get you out of your comfort zone, ranging from the slightly quirky to the out-and-out bonkers (we're looking at you, giant wooden beagle). 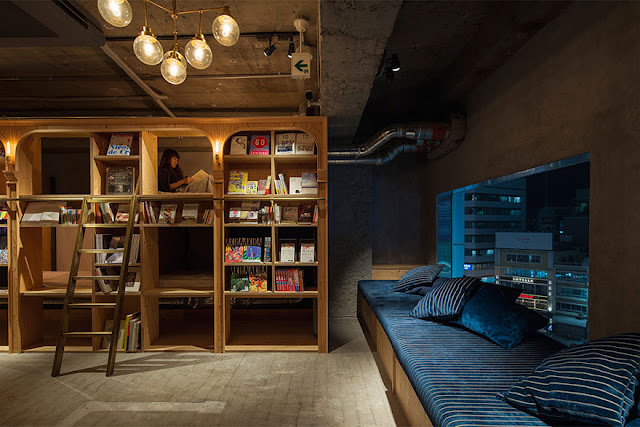 This hostel opened just over a year ago, and is pegged as an "accommodation bookshop". The beds are set into a giant bookshelf – you sleep in a single bunk in cubbyhole, surrounded by 1,700 books (and other guests). If you're a book lover, this place is a dream come true. Price: A compact bed is 3,800yen - €31. A standard bed is around €39. Forget everything you thought you knew about tree houses - the ones at Treehotel are nothing like the den you cobbled together as a kid. 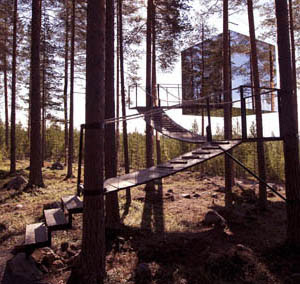 Each has its own unique look, from the suite designed to look like a bird nest, to the giant mirrored cube that appears almost invisible at the right angle. There’s even one that looks like a UFO. All of the tree-rooms are 4 – 6m off the ground, pitched in the middle of a tall pine forest overlooking a river, and accessible by ramp, bridge, or electric stairs. Price: From around €518 a night. There are a few amazing cave hotels around the world, from a whitewashed luxury affair in Santorini, to a spooky, fairy-tale one in Turkey. 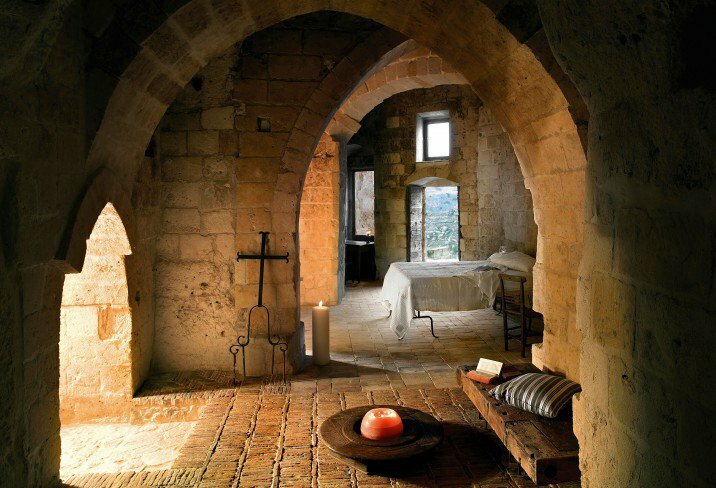 But Sextantio Le Grotte della Civita in Matera is endlessly chic and stylish. The caves are prehistoric and were once crumbling, but were painstakingly restored, brick by brick over ten years, to create the luxurious suites you'll find today. Candlelit alcoves, private balconies, and honey-hued stone abound. Oh, and the bathtubs are killer, too. Icehotel is built from scratch every year in the depths of the Swedish countryside, 200 km north of the Arctic Circle. 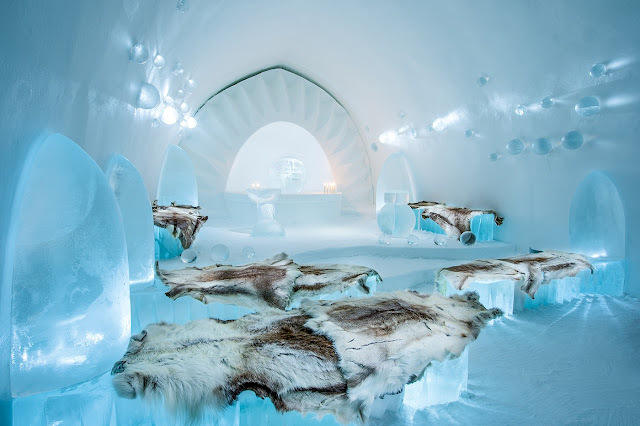 The suites are incredible and designed by different artists, who carve intricate designs into the walls and beds; there are even armchairs carved out of the ice. You sleep on a proper mattress, which is covered in reindeer hides and a thermal sleeping bag. The temperature is around -5 to -8 degrees Celsius, but they wake you in the morning with a hot lingonberry juice before you jump into a sauna to warm your cockles. There's no fudging this one - it is, quite literally, a giant, wooden beagle. There are two storeys inside, and it was designed by the owners, who are chainsaw artists (they made much of the furniture inside, too). The doggy theme continues inside - the headboard of the bed is covered in 26 carved wooden beagles. Unsurprisingly, you can bring your dog! This has long been on my ultimate hotel wishlist - sometimes I look at the pictures, just to get a little misty-eyed with longing. 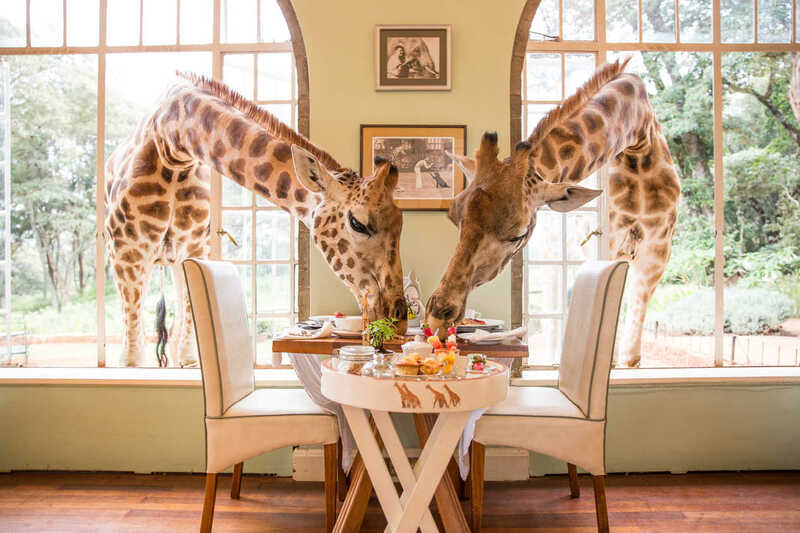 From the outside, it looks like it's just a gorgeous country home, but the real wonder comes when you meet the locals - a group of Rothschild giraffes who roam the grounds. In the morning, they'll poke their heads through the window to say hello, or to try and nab a bite of your breakfast. Giraffe Manor is part of The Safari Collection, who has 4 beautiful lodges all around Kenya. A visit to the Giraffe Centre next door is a must - hand in hand, both locations have brought this beautiful animal back from the brink of extinction. 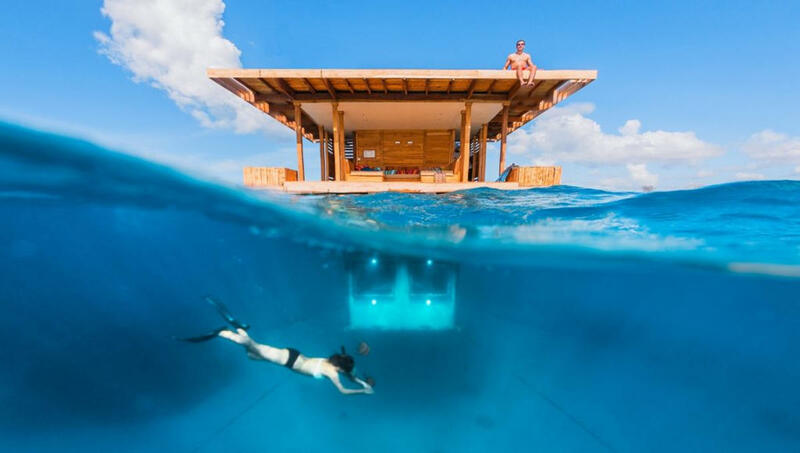 If you fancy a night spent with Under The Sea constantly playing in your head, you'll want to pay a visit to The Manta Resort in Pemba Island, Tanzania - specifically, to their exclusive underwater suite. The bedroom itself is below the water's edge, but there are three levels in all, including the roof (from which you can jump off into the sea). There are spotlights under the water come nightfall, so you can see all the reef fish swimming (including a trumpet fish called Nick who is always nosing around). It's 250m from the shore, so you nip out on a speedboat, and they deliver your sundowners, breakfast, dinner etc. For a once-in-a-lifetime treat, it can't be beaten. There are more than a few Lost vibes to this one – the 1965 vintage Boeing 727 plane at Costa Verde has been converted into a two bedroom suite, set into the tree tops, poking 50ft out of the rainforest canopy. The views are absolutely amazing, and it's strong on adventure sports - you can go ziplining, white water rafting, waterfall climbing on site. I’m not sure why anyone would willingly spend the night in prison, but there are plenty of hotels around the world that let you do just that. 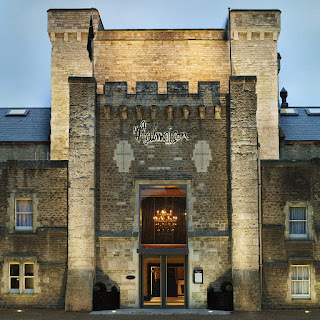 One of the more luxurious options is the Malmaison in Oxford. The 14th century prison closed in 1996 and was used as a film set for shows like Bad Girls, before opening in 2006 in its new incarnation. Cells were combined to create the bedrooms, which have beautiful curved ceilings and super plush furnishings. 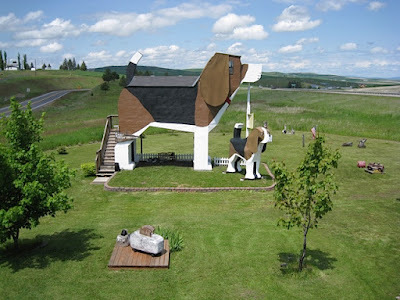 If you want to have a browse at various wacky hotels around the world, take a look at www.gounusual.com, where you can find a multitude of unique places to stay. This magnificent piece of writing is genuinely above and beyond. Are you looking for raybans sunglasses sale? We sell 100% genuine cheap raybans round sunglasses well below the official and offer free UK delivery. the Gunung Butak, I also saved by paying the entrance fee of RM10 to the Park only one time, on the first day. Guests staying outside of the Park had to pay this fee for each entry. Corporations are realizing that even a savings of 1 percent or 2 percent can translate into millions of dollars added to their bottom line. Vi tilbyder dig alle verdensberømte Billige Luksus Ure med samme udseende, samme kvalitet og samme materiale ... du kan ikke se, hvilken er en omega replika ure lige med dine øjne overhovedet! Thank you very much for sharing this very useful information, I am very happy to have found this information that I have been looking for.for information regarding best resorts please visit to the link. You can pick a paid host family to stay the night on the way of your journey. You will be more comfortable passing the time with the family members. They are friendly and give you the necessary privacy also. Try out. Do you love to travel? If you are, then it will be helpful for you if you have a travel guide. To get a travel guide you can contact with Konsorts.com . They provide good quality services. I was amazed! Its really amazing to see such a lively person like you with soo much zeal to discover the most beautiful places on earth and i would like t thank you for sharing such an astonishing information with us. Good luck! The article is actually the best topic on this registry related issue. I fit in with your conclusions and will eagerly look forward to your next updates.for information regarding hotel booking services please visit to the link. Thanks for sharing these all wonderful and stylish place information with us, these all palace really very amazing to stay in this rooms, Budget hotels in agra good post keep sharing. Do you love to travel? If you are, then it will be helpful for you if you have a travel guide. To get a travel guide you can contact with https://www.konsorts.com/ . They provide good quality services. I read your full blog and it was very informative, and helped me a lot. All pictures looks really so amazing in your post. Loved this! Thank you so much for sharing a great experiences. Moving from one house to another, whether it is from one street to another or across the state, is a testing time for everybody. Moving requires movers dhayari pune concentrated effort and being able to pack all of one's possessions in an easy to find and set-up manner. This is a task that defeats many people and has been the bane of many for years. exact replica watches, combining elegant style and cutting-edge technology, a variety of styles of replica panerai luminor 1950 watches , the pointer walks between your exclusive taste style. exact replica watches, combining elegant style and cutting-edge technology, a variety of styles of replica panerai watches, the pointer walks between your exclusive taste style. These all Place Really incredible to visit. Underwater Hotel is best place to stay. i want to stay in this hotel.. 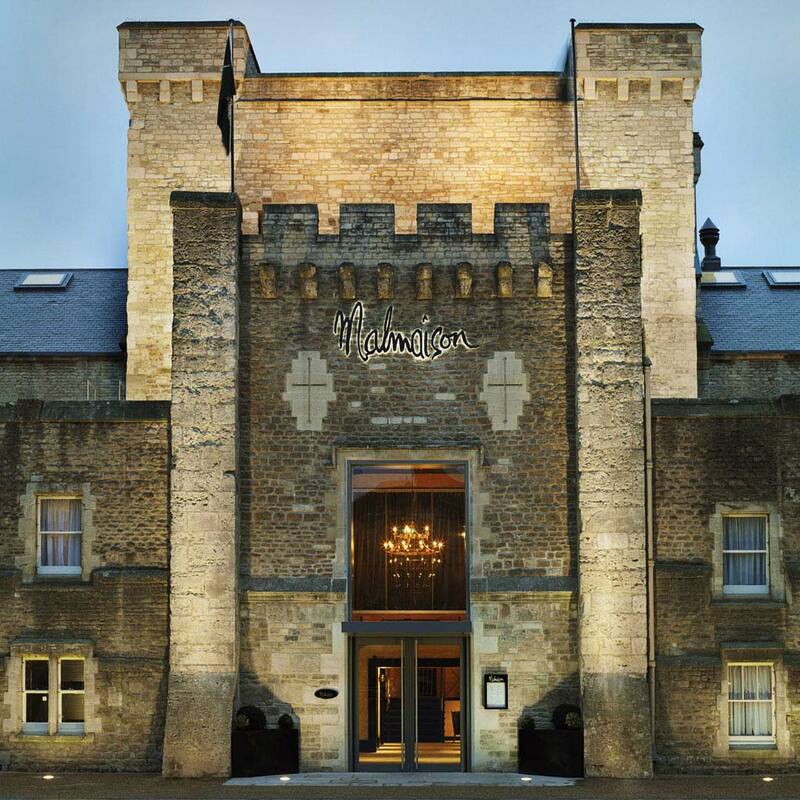 Thanks to tell us about this amazing hotel. This is one the best Interesting article and very nice post because you are sharing such a nice information about the hotels. Such a wonderful hotels list you have shared. Your post is really great and awesome pictures you captured. Thanks for sharing it. Very nice read to your post which is related to Hotels. Thanks for posting this hotels list here. hotels near centerville iowa I really enjoy the blog post. Fantastic.